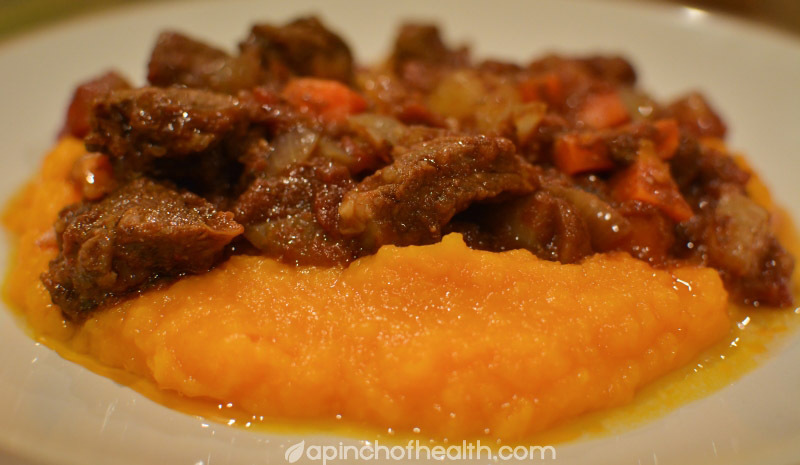 I thought I'd post the low carb slow cooked beef recipe that we have been having lately, this is also one for the low carb budget meals thread as its very cheap and we get heaps of meals out of this. This is adapted from a beef cheek recipe from a recipe book by Luke and Scott from last years MKR (the surfy paleo guys), its actually a really good book especially the savoury recipes and Garry is loving it because the recipes are simple rather then complicated. Not everything is low carb but most of them are and what isn't should be easily converted. I am using Garrys instructions so hopefully it's ok! Brown beef in batches and place in slowcooker. Saute onion and garlic in pan juices until translucent, add tomatoes and tomato paste then add stock, herbs and spices and bring to boil. Add to meat with other vegetables and top with maybe 1-2 cups of boiling water just so that everything is covered. Cook on low all day or for 4 hours on high. When ready season with salt and pepper and serve over mash of your choice.